The anger did not emanate only from the Center, Left and Arab parties, but from some in the Right as well. Even the pro-Israel lobby in the United States, known for its hawkish political views, spoke out against the sinister union. Prior to the alliance between Netanyahu’s right-wing Likud party, Rafi Peretz’s far-right Jewish Home, and Otzma Yehudit, which was struck Feb. 20, Israel was hardly a liberal democracy that shunned racism and embraced political pluralism. Indeed, it must be understood that the inclusion of Otzma Yehudit in Israel’s mainstream political scene is consistent with the moral corruption of Israeli politics as a whole. His Kach party, banned in Israel four years after its formation in 1984, was even then not rejected for its “racist policies” as many in the media are now suggesting. The party operated outside the confines of the Israeli government agenda, thus it was forced out, but its violent ideas persisted in the Knesset until this day. If racism against Palestinians was truly a Kach-championed political anomaly, how is one to explain the racist Nation-State law, which defines Israel as a “the nation-state of the Jewish people” -- elevating everything Jewish and degrading everything Palestinian? Netanyahu is more desperate now than ever. His opponents in the Center are merging their parties in a new list, Kahol Lavan or “Blue and White,” which has the potential to unseat him on April 9. Worse, the Israeli attorney general resolved on Feb. 28 to indict Netanyahu for “bribery and fraud.” A poll published the following day found that two-thirds of Israelis think that Netanyahu should resign if indicted. Why the outrage, then, when the fringe party’s mission to “restore the sovereignty and ownership over the Temple Mount” -- meaning, Al-Aqsa Mosque -- is consistent with the views of most Israelis, religious and secular alike? Knesset members have made that call repeatedly, often from Al-Aqsa itself, while surrounded by scores of soldiers and armed Jewish settlers. AIPAC is not only being hypocritical to suggest that Otzma Yehudit violates the “core values that are the very foundation of the State of Israel,” it is being purposely deceptive as well. 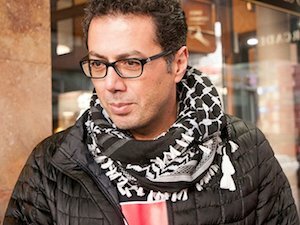 - Ramzy Baroud is a journalist, author and editor of Palestine Chronicle. His latest book is The Last Earth: A Palestinian Story (Pluto Press, 2018). He earned a Ph.D. in Palestine Studies from the University of Exeter (2015), and is a Non-Resident Scholar at Orfalea Center for Global and International Studies, UCSB (2016-17).